Studies on humans, have shown barometric pressure changes cause numerous physical, emotional, and behavioral changes. They include, headaches, mood variations, and complaints about more aches and pains. Perhaps you, or someone you know, claims they can predict the weather better than the weatherman, simply because you feel changes in your body or mood. 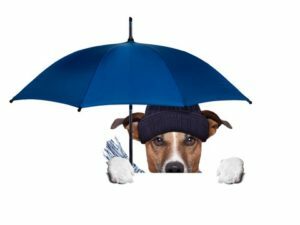 So, how do these atmospheric changes affect your dog? Science isn’t quite sure. However, dog owners, especially hunters, and those with scent hounds as companion dogs, have noticed as barometric pressure drops, their dogs change the way they track. This observation leads them to believe their animals change how they follow a scent, to compensate for the changes in the way scents travel. 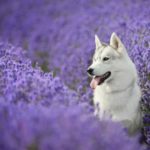 They also noted their dogs tend to hold their heads higher in drier air, to catch scents as when the atmospheric pressure is higher. 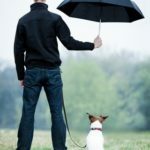 If it is exceptionally windy, their dogs have a more difficult time following a scent; most likely because the direction of the scent changes. When the barometer drops, and winds die down, indicating a low has moved in, their dogs tend to hold their heads lower to the ground when following a scent. 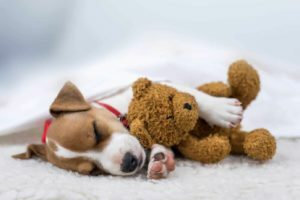 There are those astute owners, who are particularly bonded and attentive, who have reported they are alerted there will be a change in the weather, by watching physical and behavioral changes in their dogs. They included restlessness, panting, trembling, whining, and drooling. A number of them find their animal has a need to hide; others find their dog has a need to be exceptionally close to them. 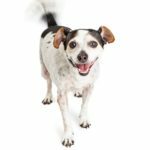 There are owners of arthritic dogs who claim their pets often appear stiffer and have more difficulty getting up or walking, when the barometric pressure is low. They may be correct. Why can’t dogs feel the added pressure on their joints, as we do? Bottom line: If you are conscious of the changes in your dog, that’s terrific! If you aren’t, maybe now you will pay more attention, because you’ll know what to look for. 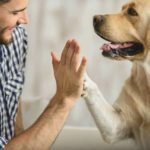 Your dog may be trying to tell you something, in the only way they know.